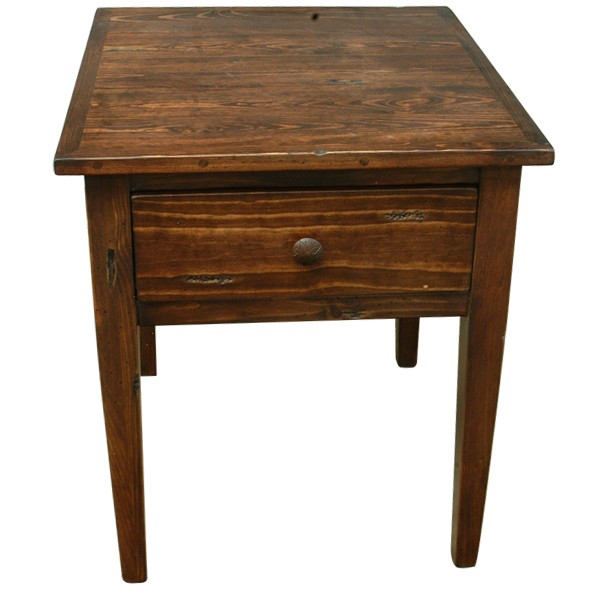 This handcrafted end table is versatile and it is perfect for an entryway, the living room, or a bedroom. The end table has a classic, elegant design, and the square top has a lovely finish. Directly below the top is a practical, rectangular drawer with a hand forged, iron pull handle. The end table is supported by simple, straight, wood legs. Both beautiful and durable, this end table is made with the best, sustainable, solid wood available, and it is 100% customizable.